"I was around eight years old when I first discovered the advantages of being on top of the shed roof. At that time, our growing family had just moved into a brand new three bed-roomed house on a newly built council estate called Windy Bank. I recall being over the moon with our good fortune. While I still wouldn't have my own bed to sleep in until my twelfth year of life, at least our parents and their seven children now had three bedrooms to share instead of the one. Also, the old tin bath was exchanged for a proper bath and whereas we previously had to share an outside privy with other neighbours, we now enjoyed the luxury of having two loos; an inside one upstairs and one outside next to the outhouse shed which was attached to the house. We also had a great big garden which my father lawned and cut three times weekly with a mechanical roller mower that was guaranteed to keep any user as fit as a fiddle. One day during my ninth year, the next door neighbour, eleven-year-old Silvia Hinchcliffe and myself were playing ball in the back garden and the ball went up onto the shed roof. Silvia, being a bit of a tomboy instantly climbed up to get the ball and not wishing to be outdone by any female, my masculine pride led me to follow her. Once we were up on the roof, we were in no hurry to get back down again. It was a warm sunny day and we were in the long school holiday months of summer. It felt good up there, especially as we experienced the new-found power of being able to look down on others for the first time in our lives. All in all, the world looked different when viewed from above and even the plain-looking Sylvia began to take on the vision of being the best looking female around. Sylvia, being two years older than me, was far more adventurous and advanced in the ways of the world than I was and before I knew it, she gave me a big fat kiss and laughed out loud as though she'd discovered happiness in a younger man's arms for the first time in her life. At the age of 11 years, a serious traffic accident resulted in me being kept in hospital for almost a year. When discharged from the hospital, I was unable to walk until I was 14 years old. I was 15 years old before I possessed the wherewithal to climb on top of the shed roof again. Sylvia was now 17 years old and had moved on in her life and preferred older men. I started walking again around the time that the Rock and Roll era of the Teddy Boys had taken off big time. Soon, I'd started attending dances, which quickly became my latest way of keeping close to the girls in my life. I have often wondered what became of Sylvia and how she fared in later life. 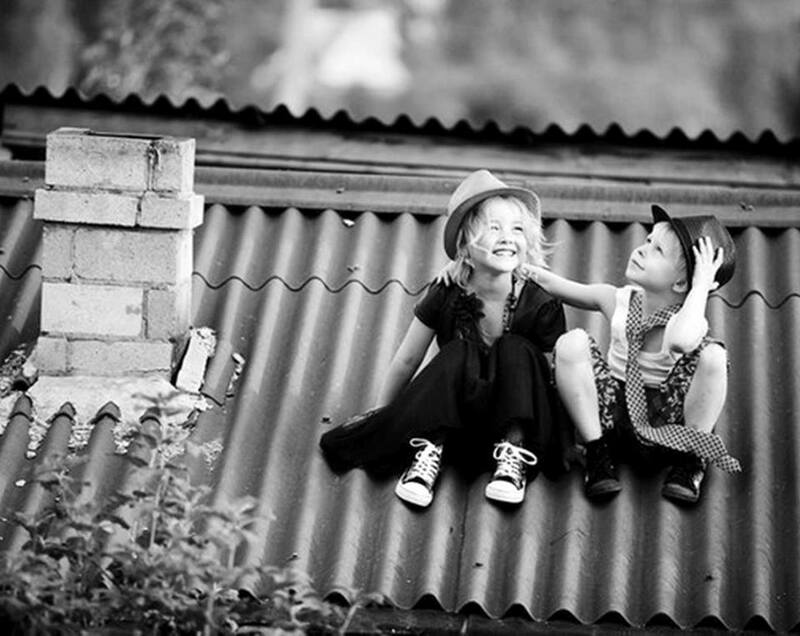 After she'd left the scene, climbing on top of shed roofs never seemed to offer the same attraction and soon stopped being on my daily list of things to do. The 50's had come into my life and lifted me to new heights of expectation. Thanks to Sylvia's earlier tuition, I was well able to kiss with the best of them and leave the girl's gasping for breath; not quite knowing what had hit them!" William Forde: November 15th, 2016.